Welcome! We are the Abingdon Rough Riders Touring Society. 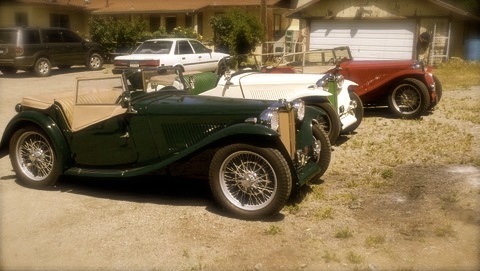 A group that enjoys the ownership and driving MG TCs and the camaraderie of their owners. We invite you to take a few moments to browse our web site and find out how much fun owning and driving a vintage MG can be. We are located in the San Francisco Bay area, but have many members through out the country. See all the 2019 Events. Photos from the Annual Meeting. Free! Free! Howard Shempp has 8, count 'em, 8 OEM Brake drums. Free to a good home. Any comments, suggestions or problems with our website please contact our webmaster. Thank you. Copyright © Abingdon Rough Riders 2008-. All Rights Reserved.